Atlanta-based rapper 21 Savage is currently in the custody of the US Immigration and Customs Enforcement (ICE) due to apparently overstaying his temporary visa, which he used to enter the country in 2005 coming from the UK. Now as the US government attempts to deport him back to his native country, his lawyers have released a statement clarifying the situation. 21 Savage, real name Sha Yaa Bin Abraham-Joseph, was arrested as part of a target operation in Atlanta on Sunday. According to Billboard, 21 Savage's lawyer Charles H. Kluck has released a statement explaining that the arrest is "based upon incorrect information about prior criminal charges and [ICE is] now refusing to release him on bond of any amount, despite the fact that he has a pending U-Visa application (as the victim of crime) with USCIS, and that he has relief from removal available to him." Kluck further explained that the US government knew of 21 Savage's status as an immigrant and that the rapper apparently never tried to conceal his country of origin. "The Department of Homeland Security has known his address and his history since his filing for the U-Visa in 2017, yet they took no action against him until this past weekend," said Kluck. While 21 Savage remains in custody, Kluck revealed that his client isn't being charged with any crimes as of yet: This is a civil law violation, and the continued detention of Mr. Abraham-Joseph serves no other purpose than to unnecessarily punish him and try to intimidate him into giving up his right to fight to remain in the United States." 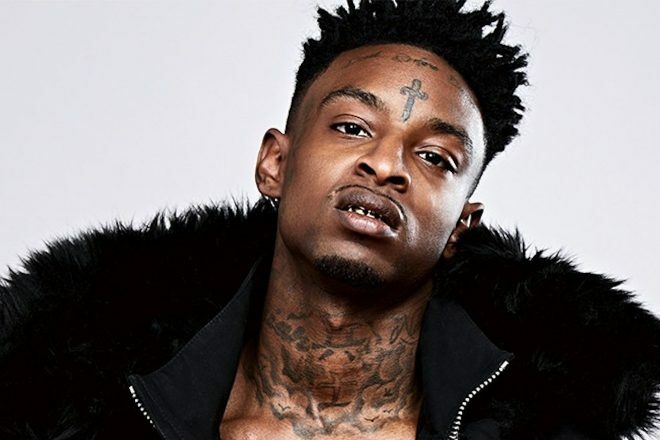 Kluck concludes thhat 21 Savage will fight to stay in the US: "Mr. Abraham-Joseph has US citizen children that he supports and is eligible for relief from deportation. We and he will fight for his release, for his family, and his right to remain in our country. No one would expect less from him." 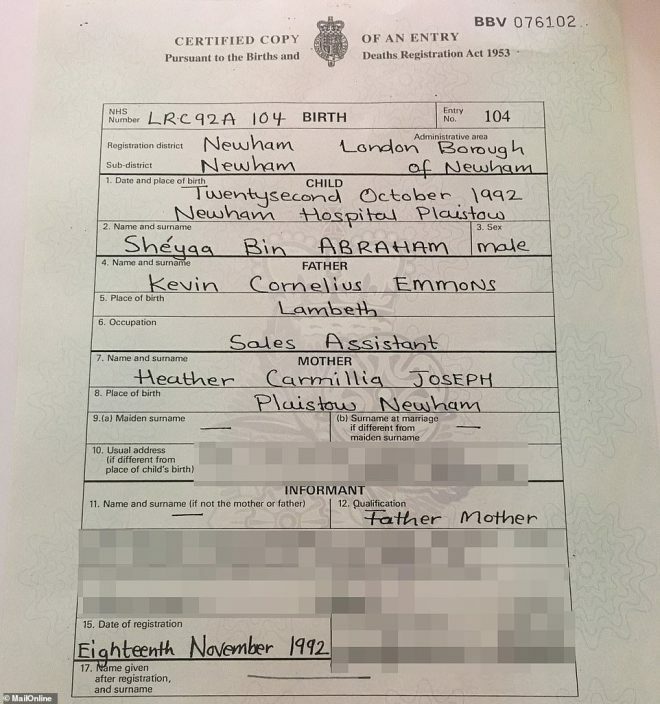 Now apparently Daily Mail has uncovered what may be 21 Savage's birth certificate, which reveals he was born in London on October 22, 1992 at Newham Hospital, to British parents. View the supposed birth certificate below.